I have been avoiding posting this recipe because the finished product was so good that I want them again. I can’t even look at the pictures without my mouth watering. I have no idea how I will make it through this post. And I’m not tootin’ my own horn here. Really. I totally stole the idea from a cooking website, The Kitchn, after they posted their recipe for Giant Gooey Cinnamon Biscuits. 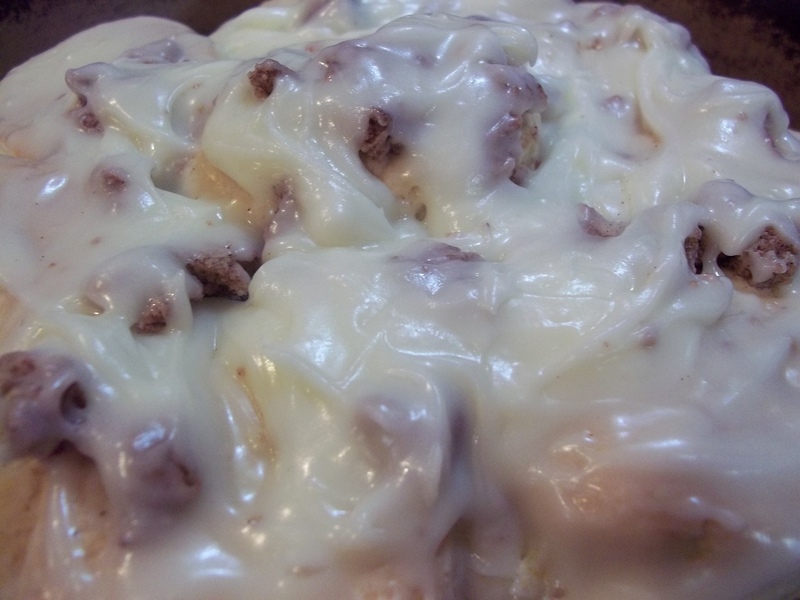 I didn’t use their recipe, I made my own, but was inspired by the time-saving concept of getting the texture, richness, melt-in-your-mouth gooeyness of cinnamon rolls without going to all the trouble of making sweet yeast roll dough first. 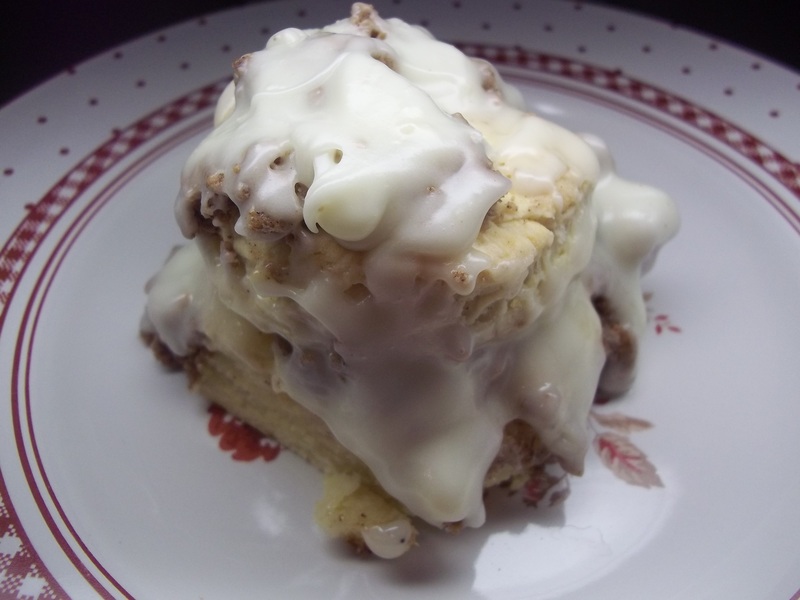 To be honest, I don’t know if I will ever make cinnamon rolls again and they are one of my favorite baked goods. All that sticky goop is amazing made with biscuits! 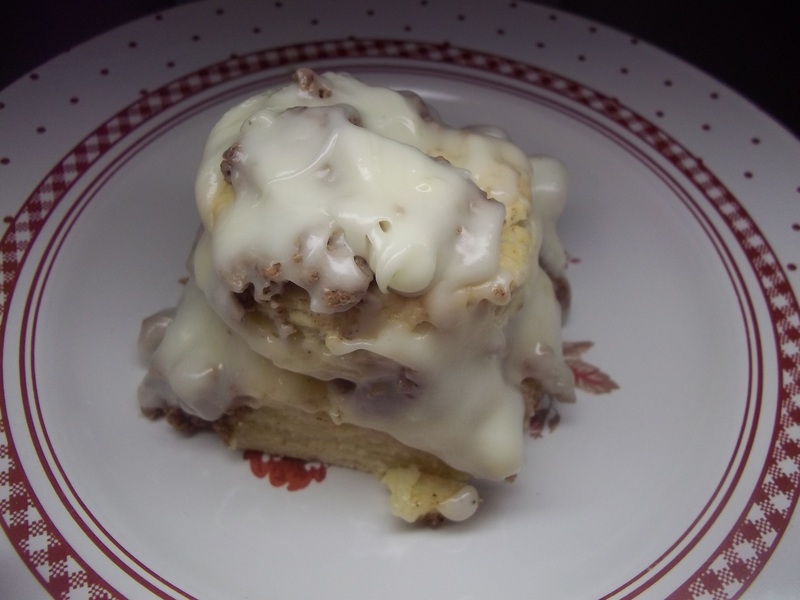 My husband and the boys loved them, but said that they liked it even more that they looked like biscuits smothered in sausage gravy. That made me laugh. I rarely buy prepackaged foods, but I’d even recommend using refrigerator biscuits or frozen biscuits for those who don’t bake and the cinnamon chips that The Kitchn baker used in the original recipe. No matter how you try it, just try it! You will not regret it…until you step on the scale, of course. Just don’t. 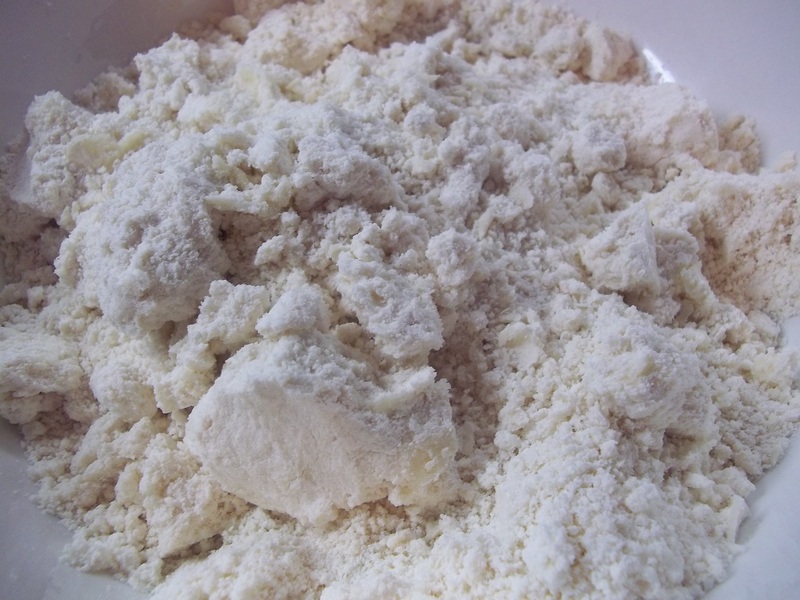 Sift together the salt, flour, baking powder, and sugar. 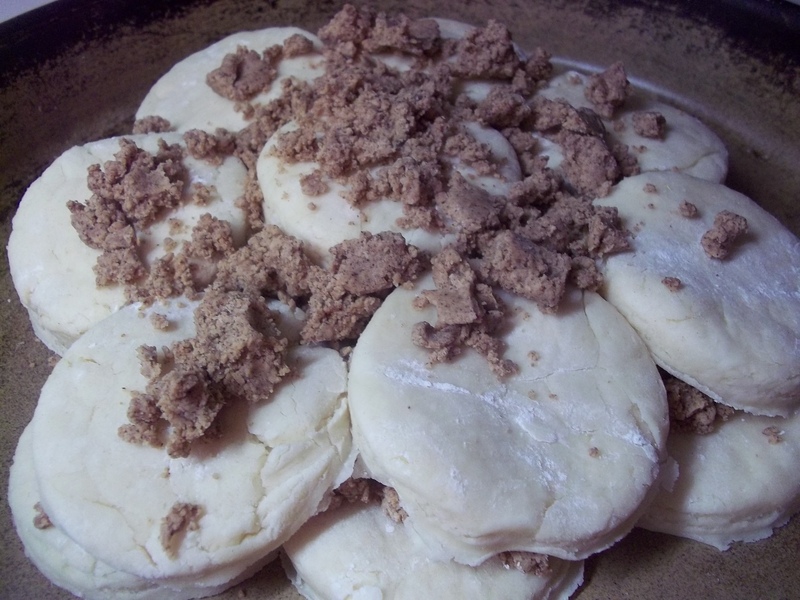 Work in the butter until mixture is crumbly. Add buttermilk, working just enough to get dough to form. 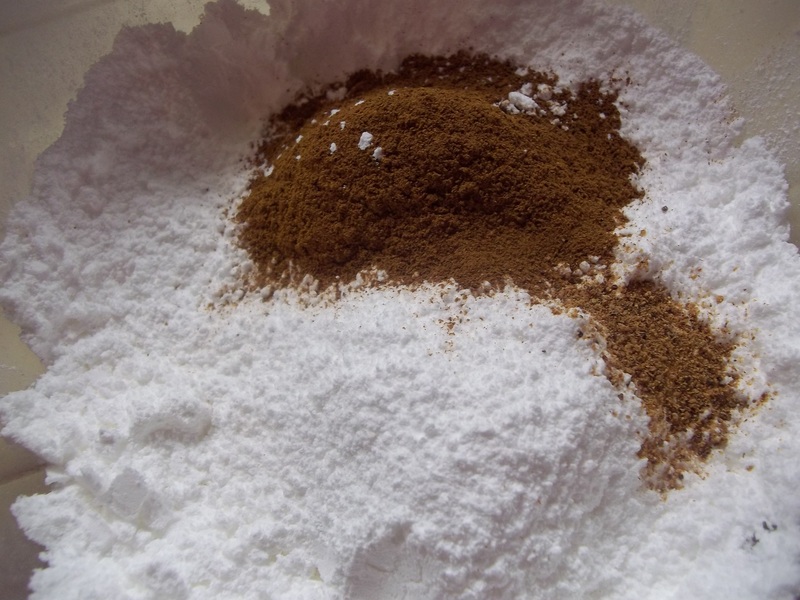 Roll out on a lightly floured surface to 1/2″ thickness. Cut with a biscuit cutter or 2″ glass into 16 rounds. 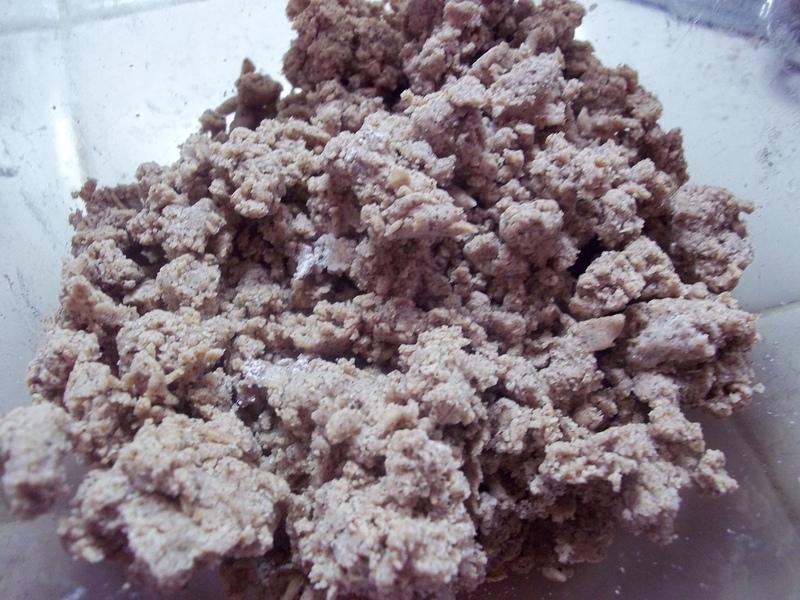 Mix together all ingredients into a crumbly paste. Beat butter and cream cheese together. Add salt and work in powdered sugar using the milk as needed to make a smooth icing. 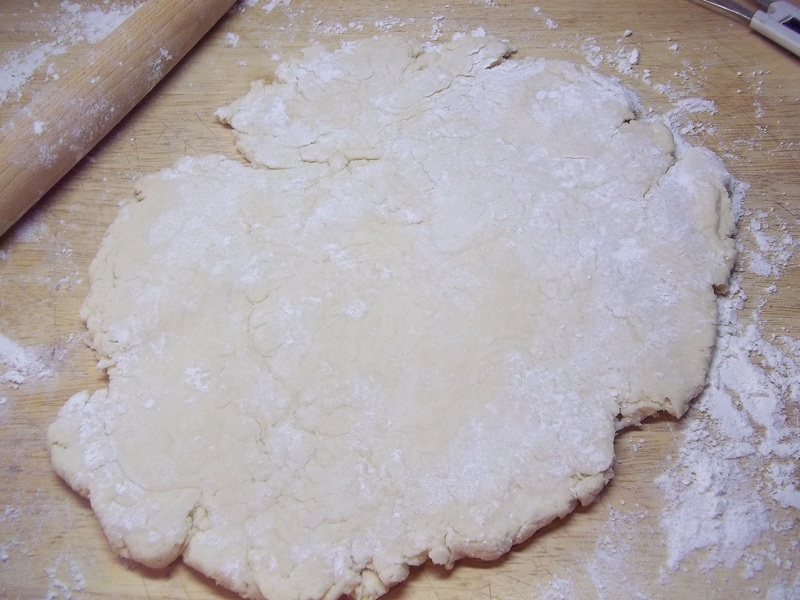 Place 8 biscuits in a circular pattern on a baking sheet or pan. 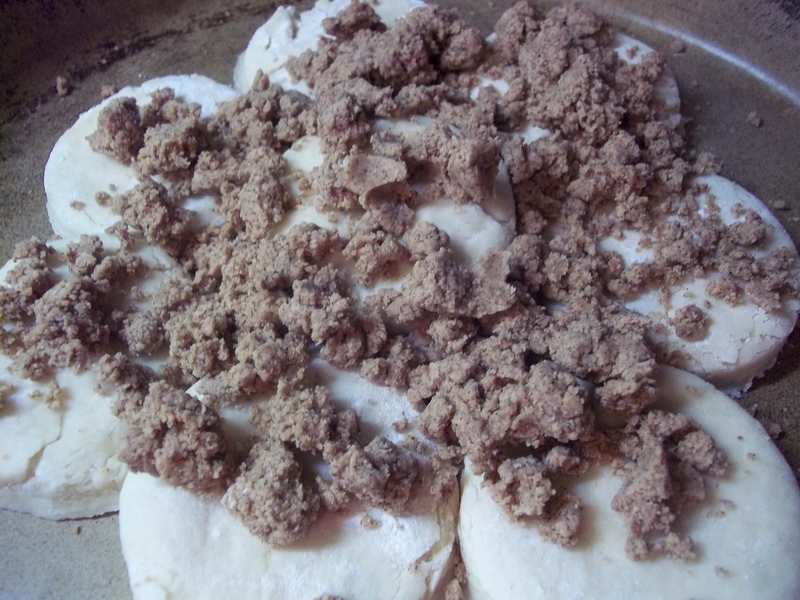 Sprinkle half of the Cinnamon Filling onto the circle of dough. 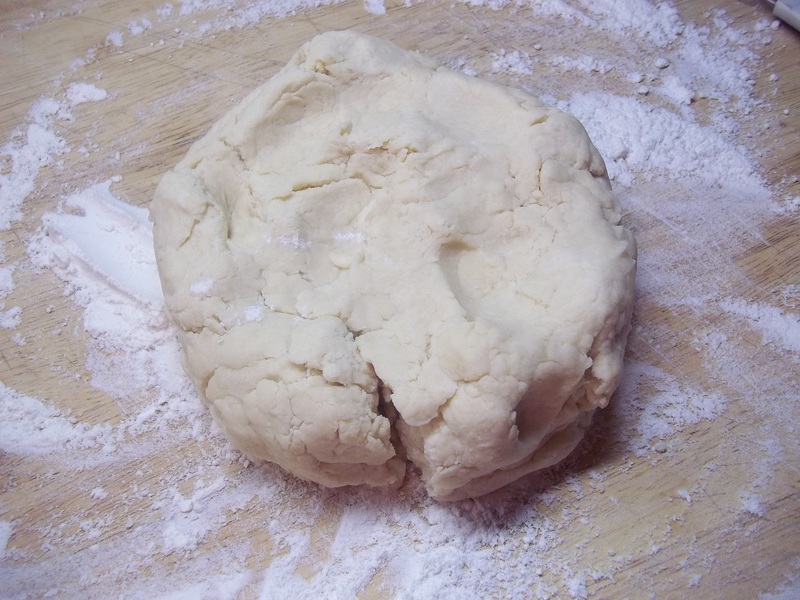 Cover the filling with the remaining rounds of biscuit dough. Top with the remaining filling. Bake in a 350 degree oven for 25 to 30 minutes. Drizzle the top with the icing and serve immediately. I’m saving this recipe!! Yummy!! I need to lose weight!! Why do you keep posting these yummy recipes???? LOL Another one to save to a file!! Definitely will have to make these very soon!